Daryl Hall & John Oates to headline the first annual Blue Sun Music and Wine Festival! 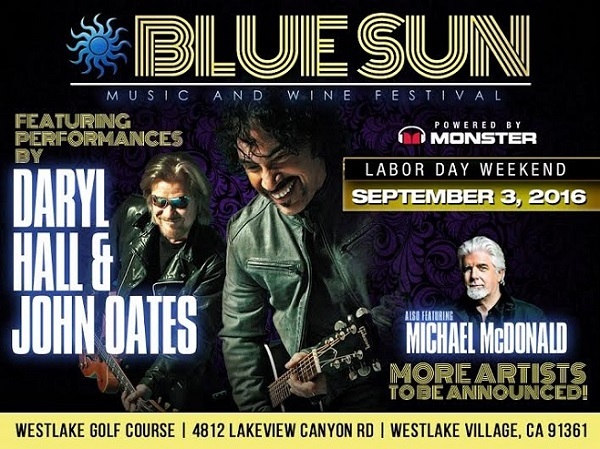 Daryl Hall & John Oates will be headlining the first annual Blue Sun Music and Wine Festival at Westlake Golf Course on September 3rd, Labor Day Weekend. on September 3rd, Labor Day Weekend.